SSL are delighted with the news that Evo-Stik North Premier League team Buxton FC will next year be launching their own Academy to develop the stars of the future. 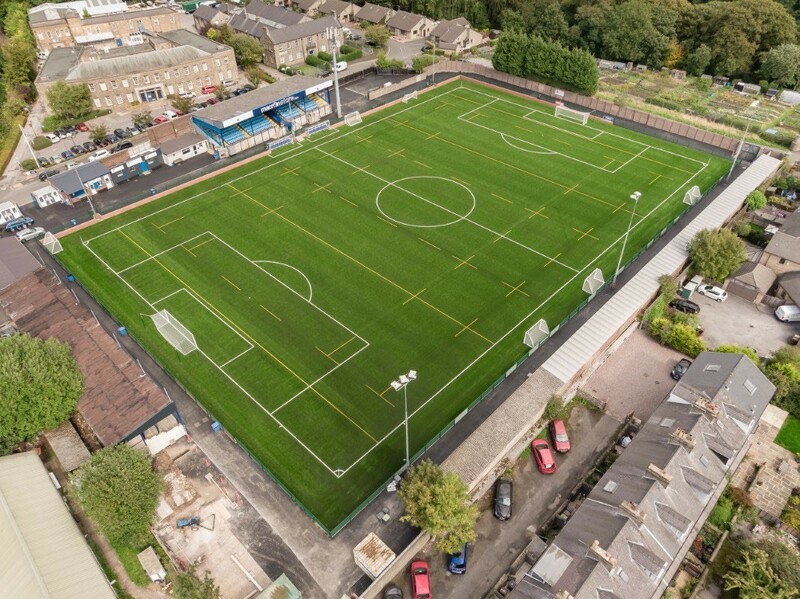 Earlier this year SSL were engaged by EvoStik league partners GreenFields UK to assist with detailed design work in order to convert Buxton’s natural turf stadium pitch into a state-of-the-art 3G synthetic facility. The pitch was designed to meet both FIFA Quality and World Rugby Performance Standards which has ensured the Stadium can provide for dual-usage with Buxton Rugby Club also playing there. With Buxton FC being established back in 1877, the development marked an important moment in the club’s long history, one which will also help future progression. Speaking to footballtradedirectory.com, Buxton FC Chairman David Hopkins commented: “We are delighted with our new pitch which overnight, alongside the obvious commercial oppor­tuni­ties, allows us to at last fully engage with our local community“. SSL are pleased to have played a part in this project and look forward to working on further stadium projects in the near future.